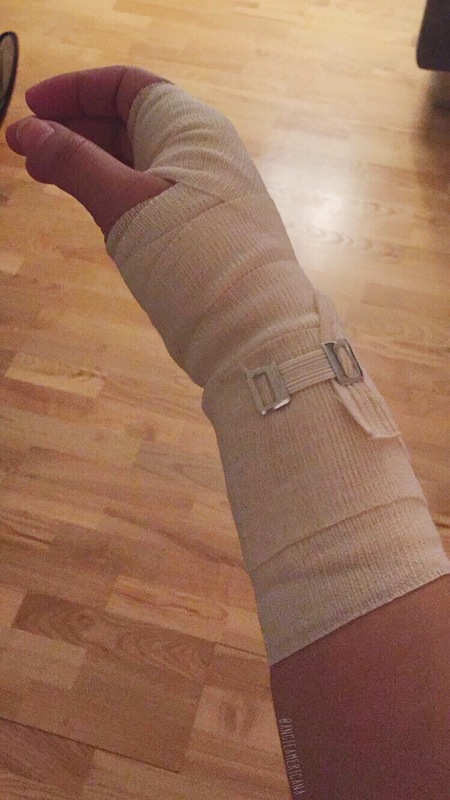 I’ve mentioned in a few of my past posts that I was unfortunate enough to break my hand back at the end of November. I’ve already written a post about my personal experience with healthcare here in Denmark, and I guess this can be considered an extension of that. 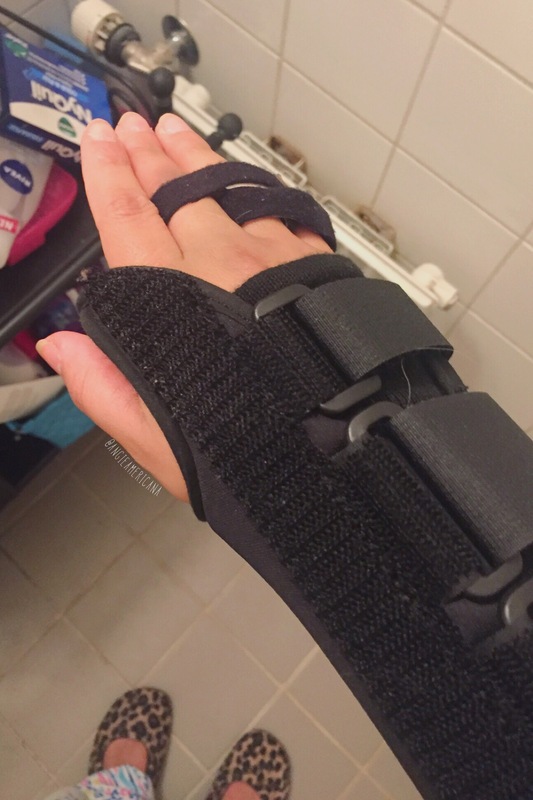 Today, I’m going to be sharing what happened when I broke my hand almost a month ago. This is what I was wearing that day. Look how blissfully unaware I was. November 25th was a Friday, and I was excited for the weekend. Two of my coworkers and I decided to bike from work to a coffee shop towards the city center. We hadn’t gone far before we reached the nearby train station that I bike past at least 10 times a week. We were in the bike lane (of course) which is located in between the train station sidewalk and the bus stop. To get from the bus to the train, you have to walk through the bike lane, and there’s even a crosswalk there. Most of the time, people wait for bikes to pass before walking through, but I usually slow down anyway, just in case. My coworkers were biking in front of me and saw that everyone had crossed through the lane, so I we kept biking. But apparently, there was still one dumb girl left on the bus who was too distracted to realize she was at her stop. She was clearly in a rush and ran straight from the bus into the bike lane without looking at all causing my two friends to slam on their brakes. I was right behind them and tried to stop, but ended up flipping over my handlebars. I immediately put my hands in front of me to brace myself and crashed onto the ground. The careless pedestrian tried to help me up, but politely told her to shove it. What kind of idiot doesn’t check for bikes before running through the bike lane? I was a bit shaken up and my hand was hurting, so I decided to walk home rather than try to bike. My friends walked with me part of the way before eventually heading off to the cafe. At this point, I was convinced that all I needed to do was put my hand on ice. However, I didn’t have my friends to distract me during the rest of my walk, and I was realizing that my hand was causing me a great deal of pain and getting incredibly swollen. I texted the Viking to let him know what happened, and he insisted that I call 1813 while he rushed home from work. Fun Fact: 1813 is sort of like the 911 for non-life threatening injuries here in Denmark. As soon as I got home, I called the number and the nice lady asked me questions about the accident and my condition. She also talked me through the painfully difficult task of removing my rings from my swollen fingers. She said that it sounded like I had broken my hand and made me an appointment at a nearby hospital’s Emergency Room. Once at the ER, I only had to wait about 15 minutes before getting taken in for some x-rays. Then I waited about another 15 minutes before seeing the doctor, so the whole thing went by pretty quickly. The doctor told me that my hand didn’t look broken, so he wrapped my hand in a bandage and sent me home. The next day, I received a email from the hospital that basically said ‘Just kidding! You actually broke your hand!’ So the Viking took me back to the hospital to get fitted with a cast. It was way bigger than I thought it needed to be. I mean, the dang thing almost came up to my elbow! It looked quite dramatic for just a few tiny fractures in my hand. This seems a little excessive, but Sherlock was not impressed. I ended up having to go back to the hospital a week later for some secondary x-rays. The doctor said the fractures were healing nicely and asked me how the cast was feeling. I took this as an opportunity to complain about the size of the cast and discomfort I was feeling because of it. Luckily for me, the doctor cut off my cast and put me in a brace instead! This made me incredibly happy because I get to take it off when I shower instead of shoving my arm into a plastic bag. I’m still currently in the brace, but I go back to the hospital soon for yet another check up. The doctor said that this should be off by Christmas, but we’ll see what actually happens. This accident could have ended up a lot worse. I’m very lucky that I only broke my hand. Plus, because this happened in Denmark, it’s all been for free! If I was back in the US, I’d probably be a few grand in debt, so I really can’t complain. Hopefully, my hand will be back to normal soon. I just find it amusing that despite getting hit by multiple cars while biking in Philadelphia, my first ever biking injury happened in one of the world’s most bike-friendly cities. You have to admit that’s pretty funny! 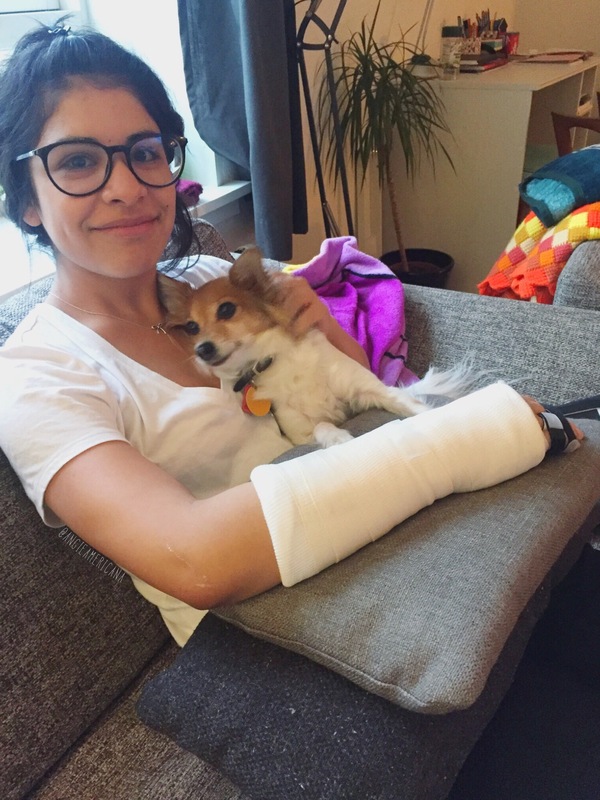 Have you ever been in a bike accident or broken a bone?